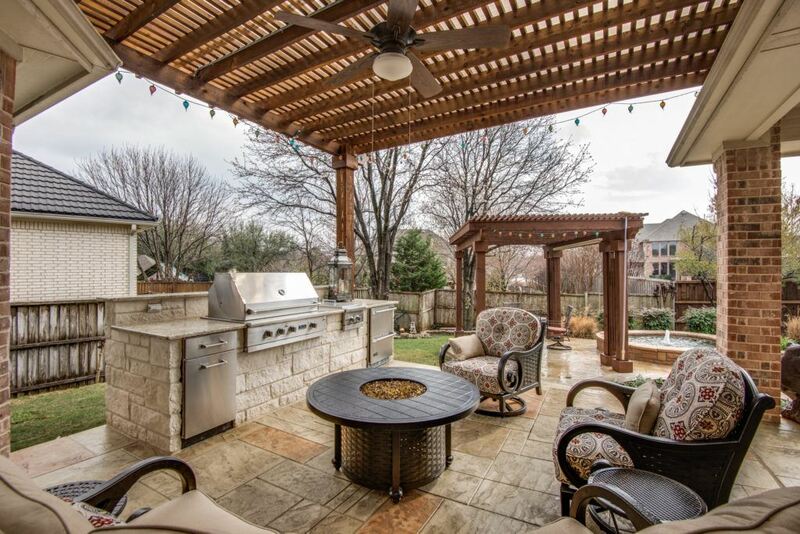 Having an area to entertain friends and family in your backyard is a great way to add some fun to the summer months. As the temperatures start to rise, you’ll want to make sure your outdoor entertainment space is spruced up and ready to go for all of the season’s festivities. Here are a few tips to help you get started. 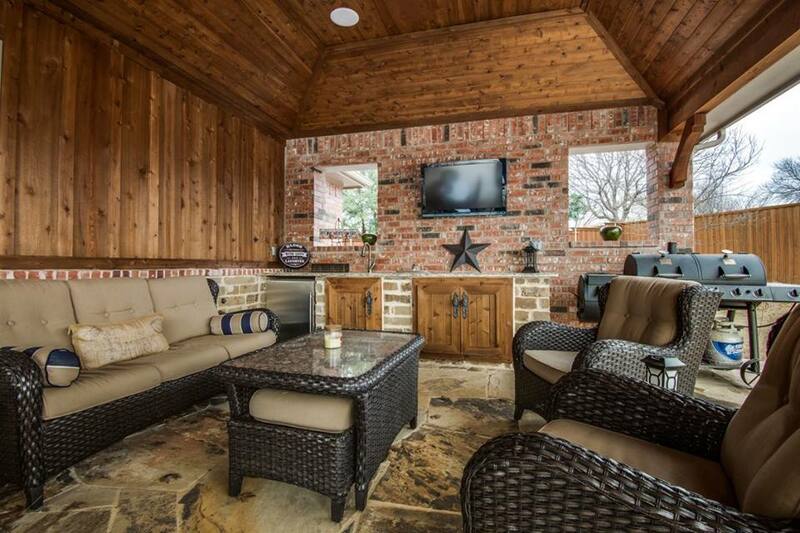 The type of outdoor entertainment space you choose is completely up to you. 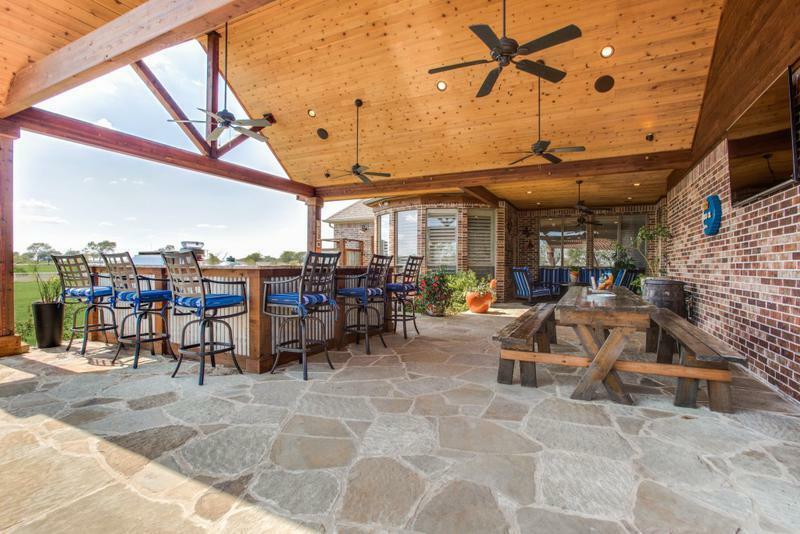 You can go big with a fully equipped outdoor living area, or keep it simple with a deck and outdoor grill. No matter which direction you choos, the entertainment options are endless. Patios are some of the most versatile areas you can have in your outdoor space. They can accommodate an outdoor living area, outdoor kitchen, eating area, bar, or a combination of all four. Adding a patio cover ensures that you’ll be able to use the space even during hot or rainy weather. 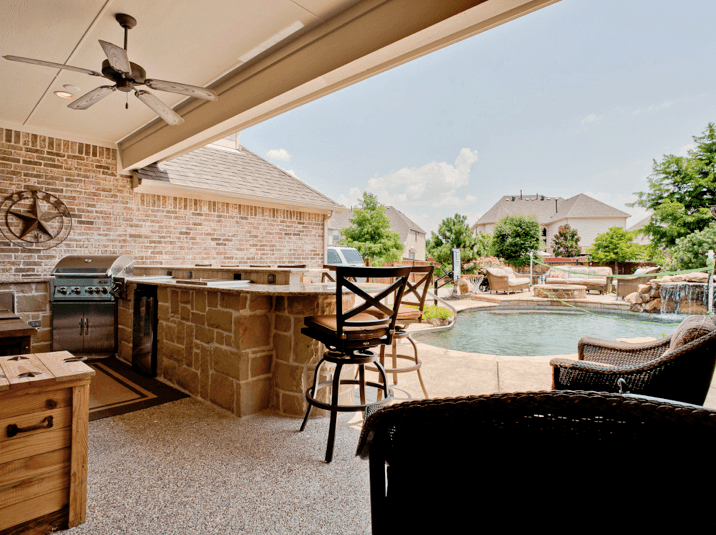 Smaller design elements such as fans are a welcome addition to help beat the Texas heat and deter bugs. 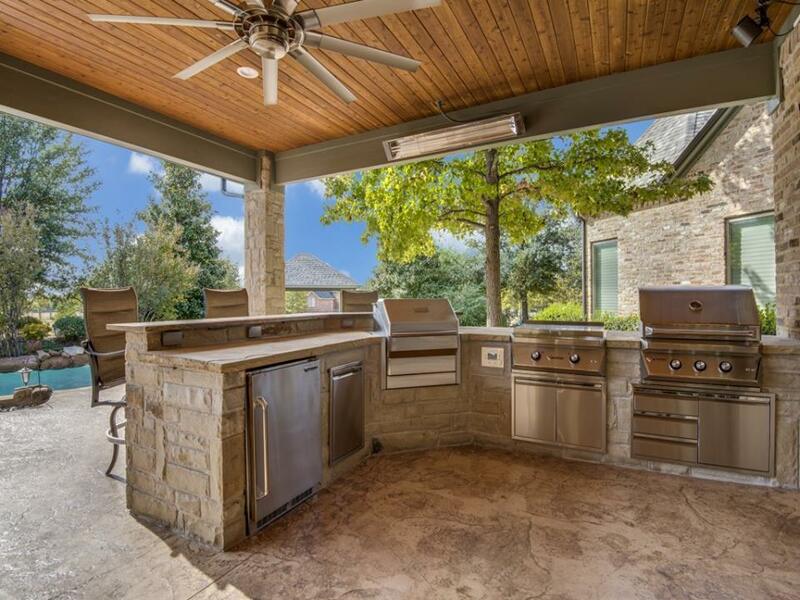 An outdoor kitchen typically consists of a grill, food prep area and storage. Other appliances, such as a small refrigerator for drink and food storage, or a sink for easy cleanup, can help increase your space’s efficiency. 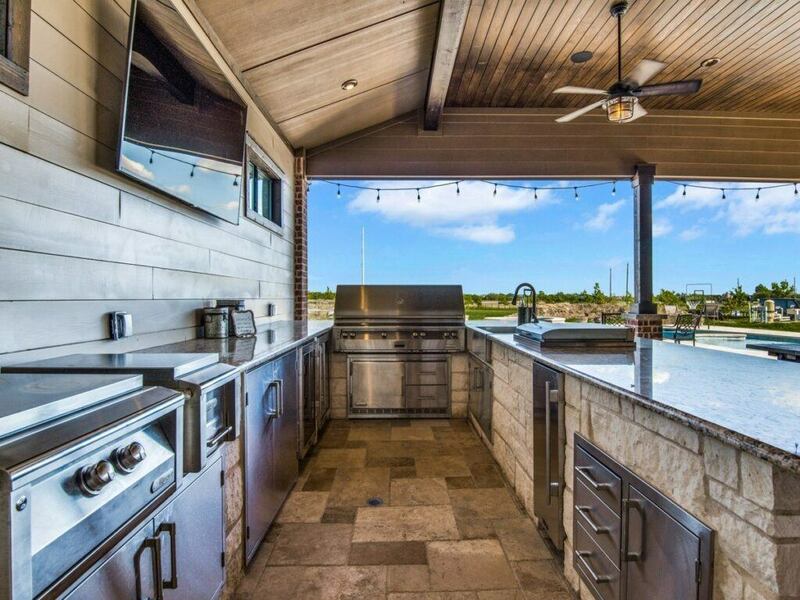 By bringing the kitchen outdoors, the chef can still host, entertain, and enjoy the party just as much as the guests. An outdoor dining area can also be included so you and your guests can enjoy your meals outside. An outdoor bar can be a great addition to a patio, kitchen, or even part of another outdoor structure, like a bar shed or pergola. Your space may even be set up well for an indoor-outdoor bar. At a minimum, your bar will most likely need a countertop, a refrigerator for storing drinks, and a freezer for ice. Glassware and drink prep accessories are, of course, essential. And, for an added bonus, include a seating area for your guests to sit and relax. Outdoor living spaces can be created on a deck or patio, covered or uncovered, and designed for a variety of uses. Most consist of seating and tables so that guests have a place to set their food and drinks, or play party games. 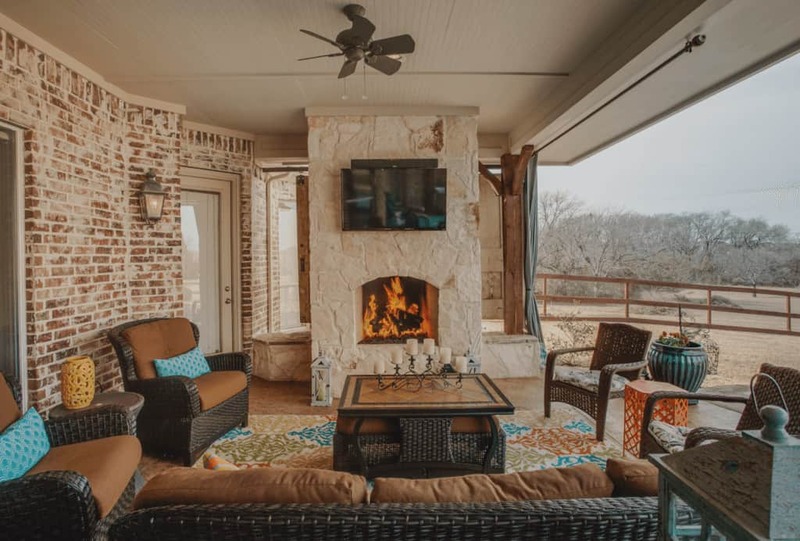 Fire pits and outdoor fireplaces can be a nice addition for cooler evenings, and provide a warm, cozy space for your guests to gather and spend time together. 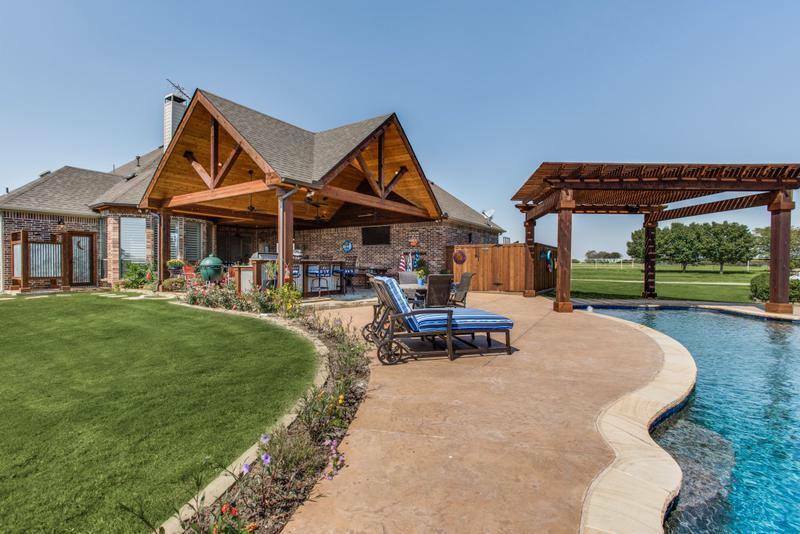 When it comes to utilizing your outdoor entertainment space, design and planning are crucial. You not only want the space to look great, but you also want it to be useful and welcoming. If you’re designing a new space, thinking ahead of time about all of its uses will help you make the most of it year-round. Consider any limitations you may run into such as the size of your yard or its proximity to the property line or water. Don’t forget to research any local regulations or homeowner’s association rules to make sure everything is code-compliant. Before you get started, you’ll want to look at things like maintenance and upkeep, costs, and design elements that fit with the style of the rest of your house. A variety of materials and design techniques can be used to construct your outdoor entertainment space. Keep in mind, certain features may require water or gas lines to be connected to the area, so you will want to factor that into your planning and budget. With so many things to consider, the planning phase of your construction project is extremely important. Having a professional contractor that understands your wants and needs and can walk you through the process is absolutely indispensable. The design of your outdoor entertainment space should be fun and make your visitors feel welcome and relaxed. Choose a layout that allows people to move in and around the area. Comfortable and practical seating should be strategically placed to allow for conversation as well as the use of the various features in the space. Be sure to select seating and décor that can withstand outdoor use and temperatures while still fitting with the overall style of the area. Once you’ve picked out the furniture, consider adding some softer touches such as cushions, an area rug, blankets, and accessories that fit with the style of the rest of your home. Create an extension from the indoors to the outdoors by sticking with your interior color palette and theme. Entertainment systems, speakers, and a TV are all great ways to spice up a party. Elements such as ceiling fans and lighting are essential. 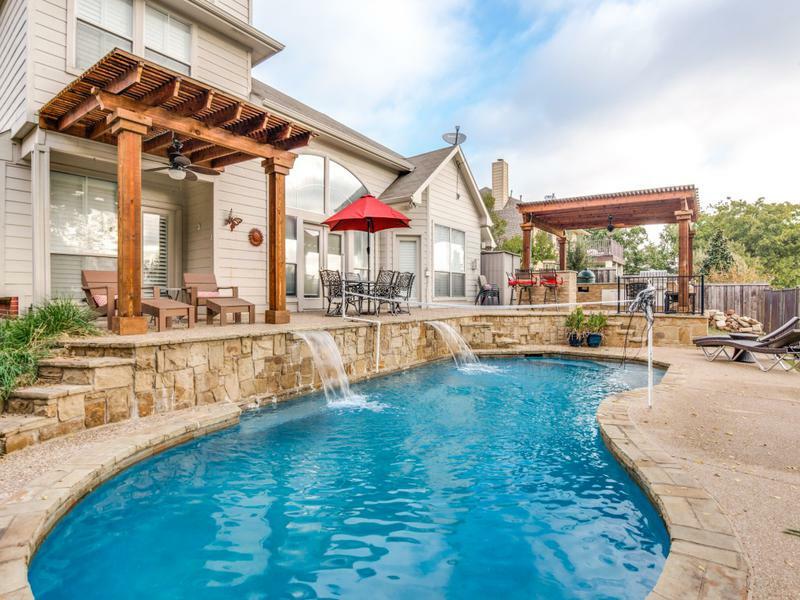 If you have a pool, be sure to have towels that are easily accessible, as well as pool toys and games, sunscreen, and other poolside essentials. There’s nothing more unwelcoming than bugs and pests at an outdoor gathering. To help prevent a pesky invasion, make sure there isn’t any standing water near your entertainment and eating areas. Set out citronella candles and torches, run fans, use a pest control device, or even hang curtains or netting. For your outdoor kitchen and bar area to be efficient, they have to be properly stocked and ready for your guests. Keep a variety of drinks on hand, but don’t go overboard. You most likely know what you and your friends will want to drink, so plan accordingly. Be sure you have the proper tools and utensils. And don’t forget the extras, such as shaker bottles, bottle openers, salt, and lemons and limes. When it comes to your kitchen, look at what your space has to offer and stock up with the essentials. Grilling tools such as tongs, forks, skewers, a grill basket, meat thermometer, and grill brush are a must. Plates, cups, napkins, utensils, serving pieces and your favorite food-prep tools ensure you can serve up a great meal for your guests in no time. Your favorite seasonings and condiments are always useful to have on hand. Paper towels and a trash can are essential for quick and easy cleanup. Before you invite guests over, cleaning and maintenance is a must. Check for any areas that have storm or weather damage. Look for missing stones or tiles, or cracked mortar or grout, and repair as needed. Check water and gas lines for proper operation before turning them on. Decks and patios can be power washed, stained or painted, and sealed when necessary. Furniture, cushions, and pillows should be thoroughly washed before use. Remove any covers and throw them in your washing machine if you are able to do so. If not, wipe them down as best as you can so that your guests aren’t sitting on dusty, dirty furniture. Be sure to use a cleaner that is appropriate for the type of furniture you have. If you aren’t sure, follow the manufacturer’s cleaning recommendations. Whenever you’re not using it, furniture and décor can be moved to an indoor storage area, like a shed or garage, to prevent further weathering and damage. 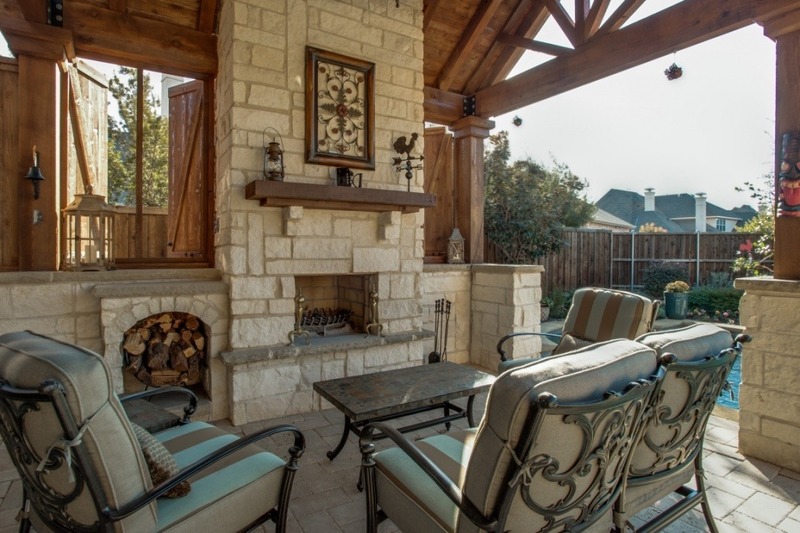 An amazing outdoor entertainment area is a great way to gather and socialize with friends and family. It also adds value to your home and brings fun and joy to your life. The next time you’re planning an outdoor gathering, use these helpful tips to get you ahead of the game. Let us help you make the most of your outdoor entertainment space this summer!